The Federal Bureau of Investigation (FBI) is the U.S. government’s main law-enforcement and domestic intelligence agency. Its writ has steadily expanded in recent decades, particularly its role as a counterterrorism force after the September 11, 2001, attacks. Without a legislative charter, the FBI’s mandate has grown over the past century as has federal law. This political focus intensified even before the end of World War II, as the U.S.-Soviet rivalry crystallized and the Soviet Union went after U.S. military secrets, including the atomic bomb. While the House Un-American Activities Committee sought to root out Americans suspected of Soviet ties, getting many people professionally blacklisted, the FBI carried out parallel efforts. Hoover amassed vast dossiers on many prominent Americans and in some cases used that information for blackmail, including with civil rights leader Martin Luther King, Jr. The New York field office was an exception; alongside federal prosecutors in the Southern District of New York, it investigated al-Qaeda’s bombings of the World Trade Center in 1993, the U.S. embassies in Nairobi and Dar es Salaam in 1998, and the U.S. destroyer USS Cole in Yemen in 2000. The FBI staff has grown by more than ten thousand since 2001, with particular growth among linguists and intelligence analysts, and has ramped up its overseas presence. A national security branch was established in 2005 to centralize the FBI’s work on counterterrorism, counterintelligence, weapons of mass destruction, and intelligence gathering. 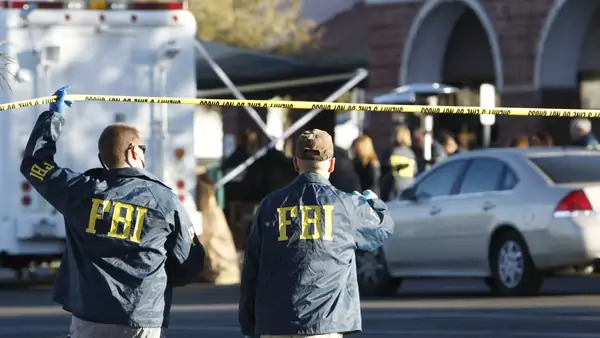 Joint Terrorism Task Forces (JTTFs), in which FBI agents work alongside state and local law enforcement, expanded from just twenty-five in 2001 to more than one hundred in 2017. Each of the FBI’s fifty-six field offices got a SWAT team with combat-style weapons and equipment. One consequence of the FBI’s bureaucratic independence is that it has faced traditionally little oversight. What is the FBI's role in investigating the U.S. election? U.S. intelligence agencies attributed leaks of Democratic Party officials’ hacked emails to Russia. They said in a public report [PDF] that under President Vladimir Putin, Russia sought to “undermine public faith in the U.S. democratic process” and “harm [Hillary Clinton’s] electability and potential presidency.” Other reports point to Russian attempts to infiltrate voter databases or elections software in many states, though there is no evidence that the vote itself was compromised and Russia has denied any such tampering. The Congressional Research Service outlines the FBI’s post-9/11 counterterrorism role [PDF]. The FBI released its Attorney General’s Guidelines, with some redactions. Emily Berman argues that overly permissive guidelines undermine Americans’ civil liberties and national security. Lawfare explains Congress’s reasons for giving the FBI director a ten-year, nonrenewable term.